In 1933, experiments in <?xml:namespace prefix = st1 ns = "urn:schemas-microsoft-com:office:smarttags" />Germany by Adolf Rohrbach resulted in a paddle-wheel wing arrangement. Oscillating winglets went from positive to negative angles of attack during each revolution to create lift, and their eccentric mounting would, in theory, produce nearly any combination of horizontal and vertical forces. The DVL evaluated Rohrbach’s design, but the foreign aviation journals of the time cast doubt on the soundness of the design which meant that funding for the project could not be raised, even with a latter proposal as a Luftwaffe transport aircraft. There appears to be no evidence that this design was ever built, let alone flown. Based on Rohrbach’s paddle-wheel research, however, Platt in the US designed by 1933 his own independent Cyclogyro. His paddle-wheel wing arrangement was awarded a US patent (which was only one of many similar patents on file), and underwent extensive wind-tunnel testing at MIT in 1927. 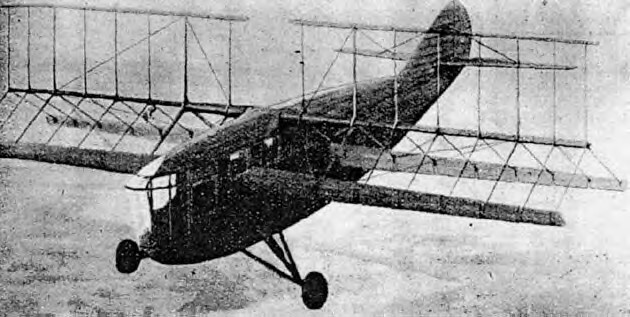 Despite this, there is no evidence Platt’s aircraft was ever built. By 1935, Platt had designed his Vertigiro helicopter having a single rotor with moveable vanes in the rotor downwash for anti-torque control. Platt’s US patent # 2,074,805 of the control system revealed a three-way drawing of a multi-seat version of the craft. Sometime thereafter, Platt and LePage worked on this design together, but never got past the model stage.